The Dyatlov Pass incident refers to the mysterious, unsolved deaths of nine ski hikers in the northern Ural Mountains on February 2, 1959. The area in which the incident took place was named Dyatlov Pass in honor of the group's leader, Igor Dyatlov. The experienced trekking group, who were all from the Ural Polytechnical Institute, had established a camp on the slopes of Kholat Syakhl when disaster struck. During the night, some unknown and unexplained force caused them to tear their way out of their tents and to flee the campsite while inadequately dressed during a heavy snowfall and sub-zero temperature. Soviet Union investigators determined that six victims died from hypothermia and that the three others showed signs of physical trauma. One victim had a fractured skull; another had brain damage but no sign of an injured skull. Additionally, the tongue and eyes of a team member were missing. The investigation concluded that an "unknown compelling force" had caused the deaths. Several explanations have been put forward as to the cause of the deaths. They include an animal attack, hypothermia, an avalanche, infrasound-induced panic, military involvement, or some combination of these. Access to the region was closed to expeditions and hikers for three years after the incident. 12-year-old Yury Kuntsevich, who later became the head of the Yekaterinburg-based Dyatlov Foundation, attended five of the hikers' funerals. He recalled that their skin had an unusual "deep brown tan”. UNPLEASANT FACT: There's a parasite in cat poop that can literally control rats' minds, should they eat it. 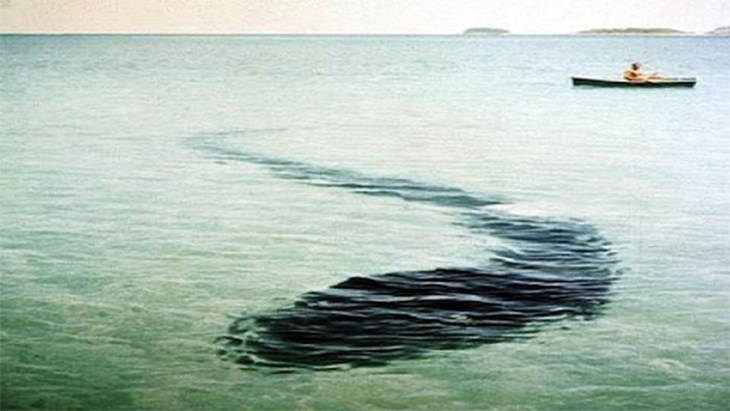 French photographer Robert Serrec took this picture in 1964 of what he thought was something that looked like a giant snake-like creature on the sea floor, just off the coast of Queensland in Australia. Experts believed it may have been something else, like a tarp or a similar object discarded from a ship. But even to this day, no credible explanation have been put forward for this strange image. Okay, this may take a bit of doing so bear with me. Army base, Soest, West Germany (as was). A still, dark, autumn evening, must have been warm because it was the kind of temperature you don't notice. Me (13) and a mate (15) just dossing around before I had to go in. Behind the flats where we live was a green area with a play area. Only one street light so it was very dark compared to our street and the well lit main route through the camp, which was about 80-100 metres away from where walking. No traffic, nothing. It was never busy and this was on a weekend evening so literally, no traffic and no one out and about as far as we could tell. Which suited two teenagers just fine, thanks. Bear with me, this is important. So, we're heading between our respective blocks of flats and into the darkened park area. And we stop dead. On the main road, moving right to left was a figure. Vaguely person shaped, but undulating and waving like cloth under water, it glided along the middle of the road. Based on what it obscured behind it as it moved, I'd estimate it to be between 8-10 foot. But at the very least it was larger than average man size. This shape, this thing, was not walking, there was none of the slight up and down motion of walking. It just glided, smoothly, at a fast walking pace I'd guess. And it was black. Not someone-wearing-black-clothes black. It was a hole cut into the night. No reflections, no shadows or shades. Just blackness. It seemed like a lifetime as I soaked this detail up. In reality it couldn't have been more than 2 or 3 seconds. I whispered, breathed, "Do you see that?" My friend, in a whisper, replied. "Yes." And the thing changed direction. Towards us. The last image I have, before we broke and ran, was of it rising up as it came over the curb. This is what makes it real for me. This is something that had mass, that obeyed at least something of the physical world. It moved from the brightly lit road into the same darkness in which we stood. We broke and ran for our lives. Back onto our street and into my mate's block. The fucker then bolted back to his own home, leaving me wondering how the hell I was going to get to my block. After a while, the fear of the repercussions from my dad for being late in overrode my fear of what might be out there, in the night. So I ran, eyes straight ahead, the ten or so metres to my own front door. I was in too much trouble for being late to ever say anything when I got home. Sometimes, when I'm walking and the night is warm and still and quiet, I think about it and I wonder what I'd do if I ever saw it again. Run away? Or face it down and maybe solve a 30 year old mystery? Honestly, I just don't know.